At least 690 prisoners were executed in 20 countries in 2018, marking a 31 percent fall from at least 993 from the previous year, according to Amnesty International that reported the fewest deaths by capital punishment in at least a decade. As in previous years, China, where figures believed to be in the thousands are classified as a state secret, remained the most prolific executor, Amnesty said, followed by Iran, Saudi Arabia, Vietnam and Iraq. Together, the five countries accounted for 78 percent of total reported executions. “It’s very encouraging that known executions were the lowest at the end of 2018, but it is challenging to define clear reasons for the decreases and whether these reductions will be sustained in the coming years,” Oluwatosin Popoola, Amnesty International adviser on the death penalty, told Al Jazeera. Iraq, which executed at least 52 people, and Pakistan, which put more than 14 to death, also showed a downward trend. Meanwhile, Somalia almost halved its executions from 24 in 2017 to 13 last year. Amnesty’s report comes after London-based NGO Harm Reduction International (HRI) revealed a drop of 68 percent in executions worldwide for drug crimes from 288 to 91 in 2018. Popoola said that “while the global figures of executions undoubtedly tell a positive story for 2018, there were also concerning developments which show that it’s not yet time to lift the pressure”. “The death penalty continued to be used in many cases against international law and standards in the absence of a fair trial and for non-lethal crimes such as drug-related offences,” he said. While the “dramatic decrease in executions is heartening to see”, Pakistan was “far from structural reform”, according to Sarah Belal, executive director of rights group Justice Project Pakistan (JPP). “This drop in executions cannot be taken as a correction to Pakistan’s abhorrent history of handing out death sentences and executing the mentally ill, juveniles and those wrongfully convicted,” said Belal. According to Amnesty’s report, at least 250 people were sentenced to death in Pakistan – a 25 percent increase from 2017. With more than 4,600 awaiting execution, according to data received by JPP, Pakistan has one of the world’s largest death row populations. 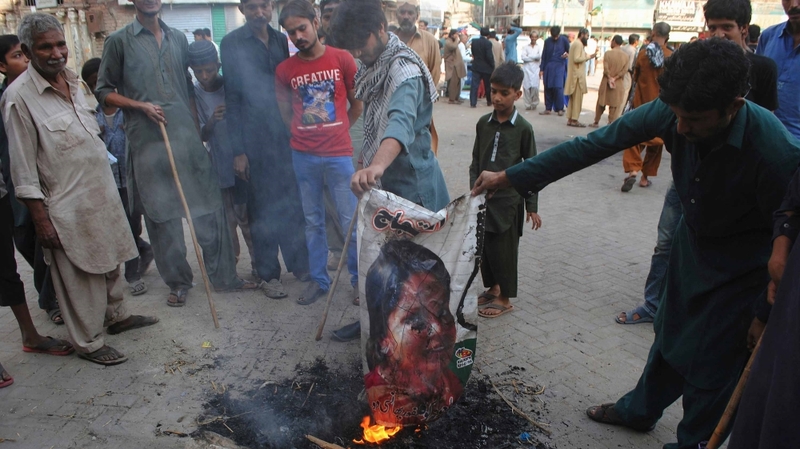 In a high profile case last year, Aasia Bibi, a Christian woman, was acquitted of blasphemy and released from prison after eight years on death row. JPP’s Belal said the landmark case not only sets a good precedent, but is also an “indictment of Pakistan’s disproportionate use of the death penalty against the most vulnerable”. She said her organisation is working with the new government to reform the process of filing a mercy petition and reducing the number of offences punishable by death – currently at 33 – among other things. Neverthless, people continue to be sentenced to death. The government is expected to introduced legislation to abolish mandatory death sentences when parliament next sits in July, after a conservative backlash against plans for complete abolition. By the end of 2018, the total number of countries that had abolished the death penalty in law for all crimes remained at 106. The number that had abolished in law or in practice was 142, the report said. “Only a minority of countries in the world actively use the death penalty today, so we are closer to the complete and global abolition of the death penalty, more than ever before,” added Amnesty’s Popoola. But with more than 19,000 prisoners still on death row around the world, Popoola said more was needed to end the “ultimate cruel, inhuman and degrading punishment which has no place in the 21st century”.